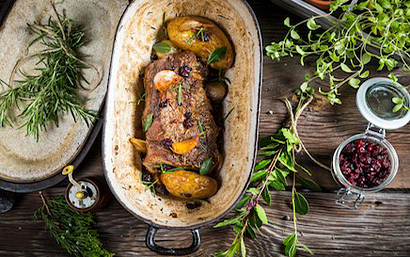 Christmas can be a stressful time of year, especially for the cooks of the household, and even if you have the annual Christmas cooking frenzy refined to a fine art, perhaps you are looking for something new to delight your family or impress your friends with this year. 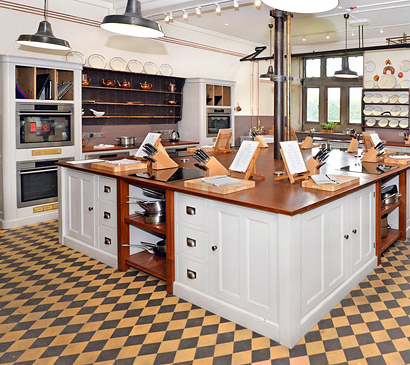 Why not treat yourself to an expert cooking class at one of these fabulous cooking schools? There’s a wonderful variety of courses to choice from. Here we feature just a few. 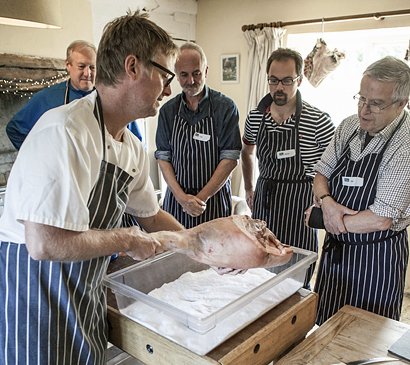 Hone your cookery skills at Hugh Fearnley-Whittingstall’s River Cottage Cookery School in beautiful East Devon. 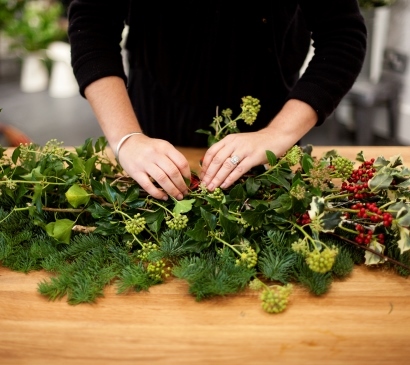 There are cookery courses a-plenty with everything from Christmas Baking and Wreath Making through to curing your own Christmas ham with River Cottage meat guru, Steve Lamb. What better way to get into the festive spirit? 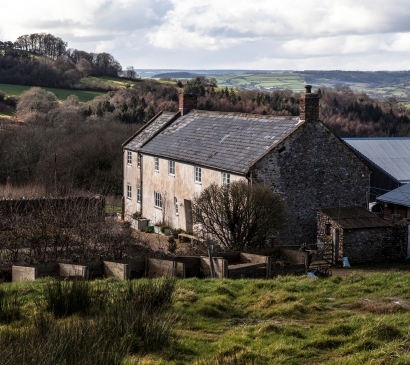 Throughout the year River Cottage throws open it’s gates for a variety of exciting seasonal courses and events so keep up to date by signing up to their newsletter. The cost of Christmas may well be more than ever this year. 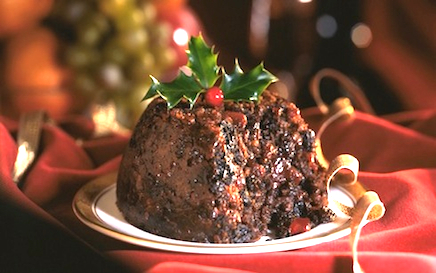 Save your pennies and perfect the art of the homemade Christmas pudding and other festive favourites, with the help of the renowned chefs and culinary experts at Cooks, The Carlton School of Food, in North Yorkshire. Half day courses, designed to guide would be chefs through the festive season, start at just £70 per person and include personal tuition, all ingredients, an apron and a recipe book to take home. 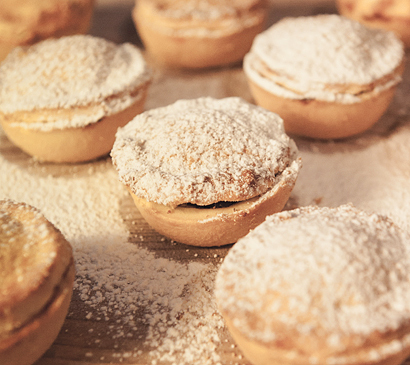 Bake off fiends can brush up on their skills, from making mincemeat, pastry and simple canapés, to Christmas biscuits and shortbread with Great British Bake Off Finalist Brendan Lynch on the 13th November. Get back to basics by learning how to make the perfect traditional Christmas lunch on the 4th December or join in with #meatfreemonday and cook up a tasty vegetarian alternative on the 9th December. 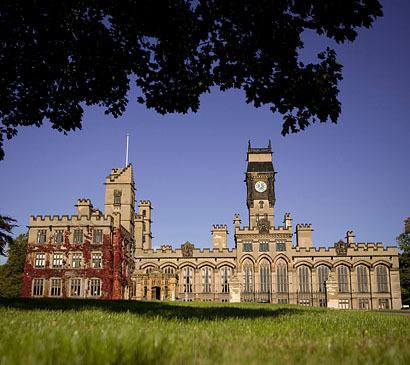 For those wishing to extend their experience, accommodation is also available in the house with sixteen luxurious bedrooms personally designed by Lady Gerald Fitzalan Howard. Prices start at £95 for a single room including breakfast. Visit Carlton Tower’s website for more information. Courses at Cooks also make the perfect gift for foodie friends and family, with gift cards and vouchers available to purchase online. No plans for seeing in the New Year? Why not spend it in Italy and bring in 2015 enjoying la dolce vita. Do you find that New Year can be a bit of a let down? Do you fancy celebrating this year in a completely different way? 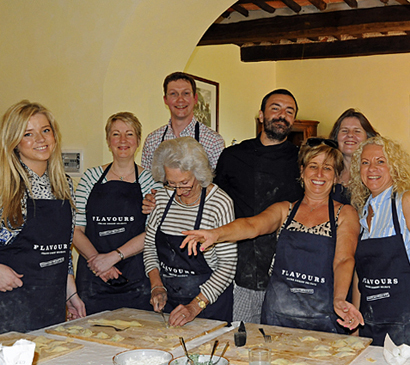 We highly recommend a Flavours Holidays cooking classes and we’ve just heard that while all the places on their Tuscan New Year are already taken, there is still one or two places left in Venice and Sicily. We think Italy is the perfect location to ring in the New Year with great food and wine and making new friends. New Year’s Eve will be a night to remember, partying Italian style! Contact Flavours Holidays today to reserve your place by visiting their website or calling 0131 343 2500. I have often thought about a cooking course… for my husband (not me)! He is good already but I think that some of the skills on these courses are great to expand the kitchen repertoire. And at the same time I could have a lovely break nearby!